*Oh, New Jersey. You’ve given us plenty of wonderful things – Jack Nicholson, Meryl Streep, Bruce Springsteen, “The Sopranos” (of course, you’ve also given us Bon Jovi and the Jersey Shore cast, but we won’t mention that now). And yet, for all of those cultural icons, your political scene seems to provide the most Garden State entertainment for the rest of the country. We thought it might be hard to top the mess that was the Jim McGreevey governorship – you remember, the one that ended with him resigning and coming out as a “gay American” after giving a state homeland security position to his Israeli lover – but darned if Chris Christie isn’t trying to beat the rather high bar set by one of his predecessors. The oversized and boisterous Christie is one of the country’s most fascinating political figures, a rotund blend of bluster and get ‘r done populist conservatism who rose to national heights with his stewardship of the state through Hurricane Sandy. Absurdly popular as the governor of a deep-blue state, he was considered the frontrunner for the Republican presidential nomination in 2016. Of course, that was all before this week – when a series of emails came to light exposing that a top Christie aide had orchestrated a traffic tie-up in the North Jersey town of Fort Lee as punishment for the town’s mayor not endorsing Christie’s run for governor. 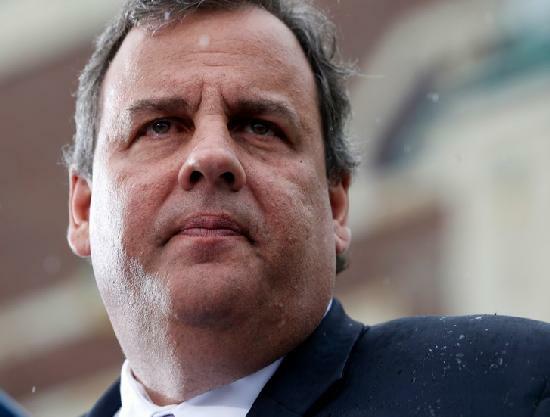 In the aftermath of the scandal – and a press conference about as long as “The Wolf of Wall Street” – Christie finds his once-shining political star tarnished. He’s stuck in that classic political quandary: admit culpability in the crime and look guilty, or profess ignorance and look incompetent. He chose the latter, and now the wrath of the state (seriously, don’t mess with Jersey when it comes to traffic) is upon him. Sure, he’s got at least a year or so to recover before the real presidential run begins … but, as we’ve learned, Jersey natives? They can carry grudges.